OWH Stars and Stamps (Our OLD blog! ): January ODBD Challenge! This is SO much fun....monthly challenges give so many folks time to participate. We've made it to 50 cards two months in a row - by the skin of our ATG tape! - two more boxes for our heroes! And random.org drew these two fabulous cards to win a $25 gift certificate each to the Our Daily Bread Designs store! Go leave these lucky ladies some congratulations on their blogs by clicking on their names. Email sandy at operationwritehome dot org and she'll connect you with your gift certificate! We've got some crazywild inspiration for you from Our Daily Bread Designs - what beauties!! And - ODBD has posted a piece on your fearless leader...it's a totally humbling piece, but I am honored that they posted it! Read it here. Wow - all of these are so gorgeous!! 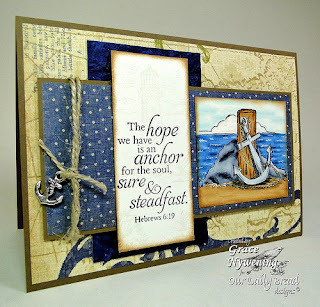 Beautifully done and I'm loving these Daily Bread stamps!! Congrats ladies - beautiful cards all!